A summer of effective cooling begins with an air conditioner from a trusted brand. 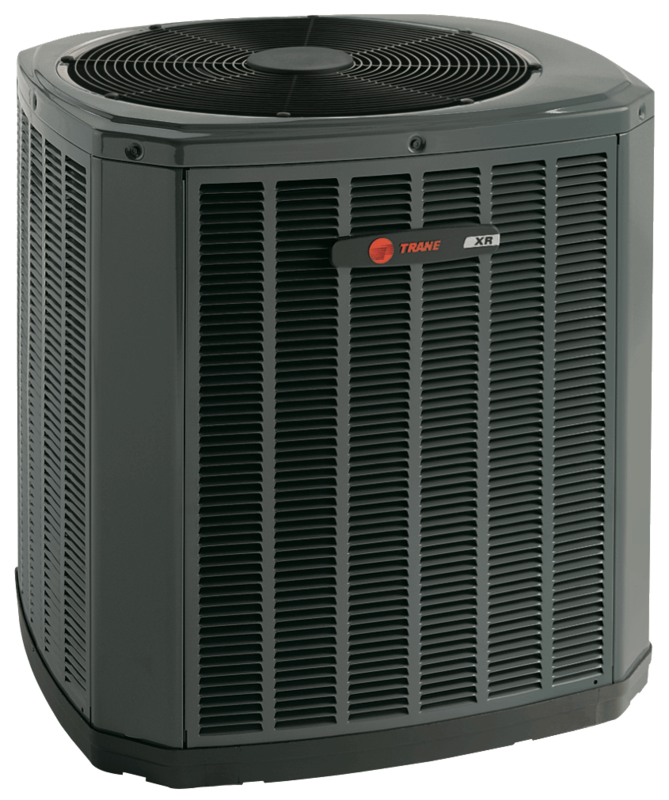 At Logan A/C and Heat Services, we partner with Trane and Rheem, two of the top manufacturers in the industry. Our commitment to reliable products and excellent service helps us guarantee that you will love your new air conditioner. Durability: Full-sided galvanized steel louvered panels protect internal components while preserving airflow efficiency. Warranty*: 12 year limited warranty on compressor, 10 year limited warranty on outdoor coil, and 10 year limited warranty on internal functional parts. 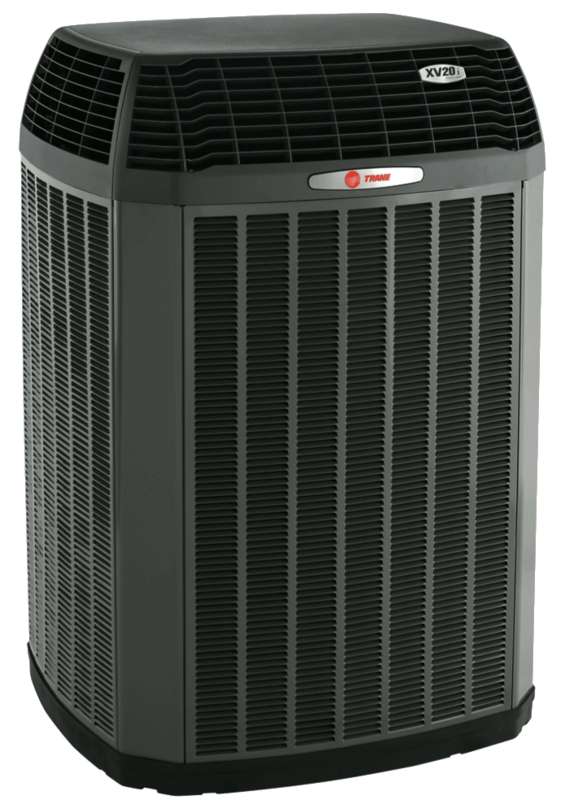 Trane TruComfort™ - The Trane TruComfort™ systems give you precise comfort by running at the exact speed needed to keep your home comfortable. This allows the compressor, outdoor fan, and indoor fan to vary operating speed and BTU as the temperature outside changes, slowing down or speeding up gradually in as little as 1/10 of 1% increments to keep comfort within 1/2° of the thermostat setting. Efficient Performance - The XV20i air conditioner is one of the industry’s most efficient systems, with ratings up to 22 SEER. With Trane TruComfort™ technology, the 22-SEER air conditioner automatically adjusts itself while maintaining constant and consistent speeds to avoid temperature swings. ComfortLink II - ComfortLink™ II communicating technology (available when matched with communicating indoor units) connects all of your key components so your system automatically configures and calibrates for optimal performance and efficiency through the lifetime of your products. Durable, Quiet and Economical - Rigorously tortured and tested for long-lasting durability, you can be sure this system will hold up to anything, without holding up your bank account. And with the quiet running fan, 4 dB below our competitor’s minimum, you can be sure you are getting a quiet air conditioner and the best all-around system. Cleaner, Healthier Indoor Air - Add Trane CleanEffects™ to your heating system pump for advanced air filtration that removes more dust, pollen and other irritants from conditioned air for a cleaner, healthier, more comfortable home. Efficient Performance - The XV18 air conditioner is one of the industry’s most efficient systems, with ratings up to 18 SEER. With Trane TruComfort™ technology, the variable speed air conditioning system automatically adjusts itself while maintaining constant and consistent speeds to avoid temperature swings. 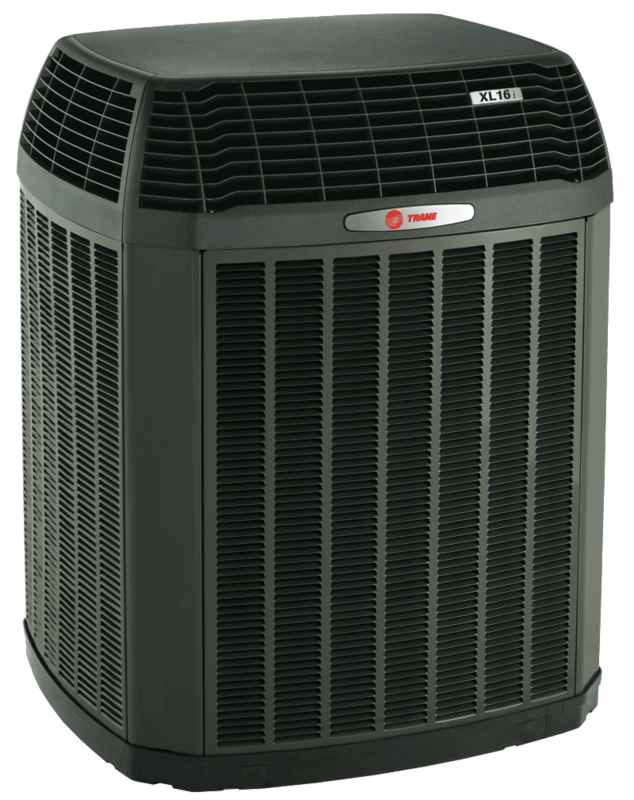 Efficient Performance - Trane’s XL18i central air conditioner units have Seasonal Energy Efficiency Ratings (SEER) up to 18.00 making the systems an energy-efficient choice for home comfort. Two-Stage Cooling - Two stages of cooling meet any outdoor climate conditions and reduce interior temperature swings. 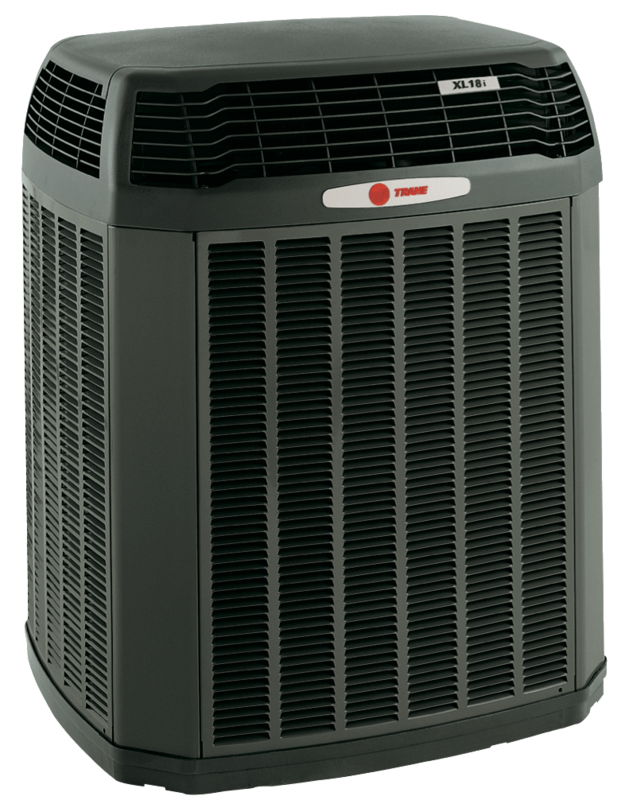 Durable and Economical - Trane’s central A/C units come with increased efficiency that may substantially lower your home cooling costs. Materials for all components are tested again and again for long-lasting performance and durability. Cleaner, Healthier Indoor Air - For a more comfortable home, add Trane CleanEffects™ to your air conditioner unit for advanced air filtration that removes dust, pollen and other irritants from conditioned air. Efficient Performance - The XL16i’s SEER rating of up to 16.5 makes it an energy-efficient choice for home comfort. 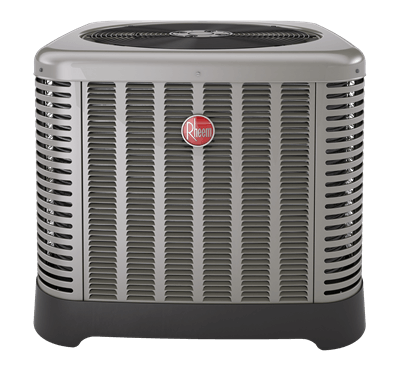 Durable and Economical - Increased efficiency may substantially lower your home cooling costs. Materials for all components are tested again and again for long-lasting performance and durability. Warranty*: 10 year limited warranty on compressor, 10 year limited warranty on outdoor coil, and 10 year limited warranty on internal functional parts. Efficient Performance - The XR16 home air conditioning system has a SEER rating of up to 17.00, making it an excellent choice for home comfort and potentially for earning energy-efficiency tax credits. Efficient Performance - The XR14 A/C system has a SEER rating of up to 16.00, making it an excellent choice for home comfort and potentially for earning energy-efficiency tax credits. Economical Operation - The increased energy efficiency of this air conditioning system may substantially lower your home cooling costs. Durable Construction - Materials for all components in this central A/C unit are tested again and again for long-lasting performance and reliability. When outside conditions heat up, our variable-speed technology quickly and consistently adapts to your inside cooling needs. By running at lower speeds throughout the day, our variable-speed model runs quieter than other systems – and by streamlining airflow and reducing vibration, we’ve made our models quieter than ever. This innovative EcoNet technology sends you important alerts and reminders to keep your system working at its best. Plus it’s easy to adjust your comfort settings from home or away. Our new air conditioners are designed to perform both efficiently and quietly, delivering home comfort you can count on when you need it most. The Two-Stage Copeland Scroll™ UltraTech™ compressor provides more precise temperature control and humidity levels for increased comfort. 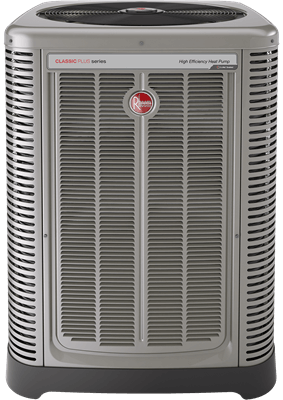 Our Classic ® Series includes features that help fight corrosion, reduce leaks and enhance the overall strength of your air conditioner so you can be confident in the way it performs. Our new air conditioners are designed to perform both efficiently and quietly, delivering indoor home comfort you can count on when you need it most. 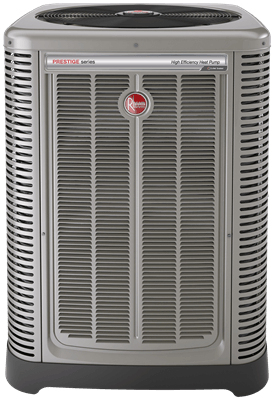 If your current air conditioner is many years old, most models that our expert technicians can install will provide you with better cooling and efficiency. The air conditioners we install range from the height of comfort and flexibility, to more economical options that will maintain an ideal temperature while helping you stick to your budget. We are happy to make the decision simpler and less stressful for you. We can often handle installation the next day after you make a choice. 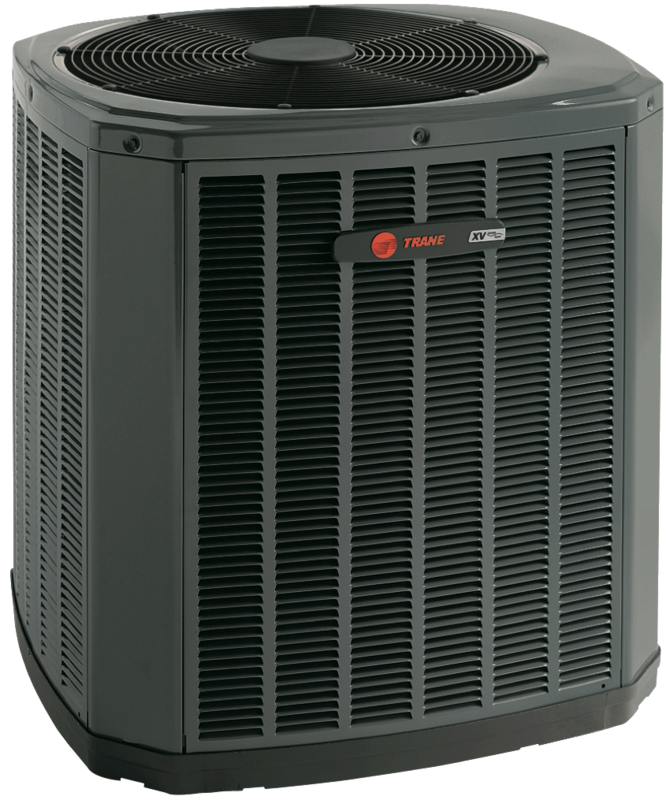 Although we specialize in Trane and Rheem air conditioners, we are happy to service all makes and models. When you want to buy an air conditioner, you are getting so much more than a product. By hiring Logan A/C and Heat Services for your air-conditioner replacement, you receive the kind of service that will ensure your comfort for years to come. To learn more about our air conditioners or to request an estimate for your home, contact us today.